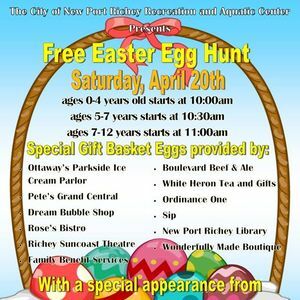 Don't miss the annual Easter egg Hunt held at the New Port Richey Recreation and Aquatic Center! 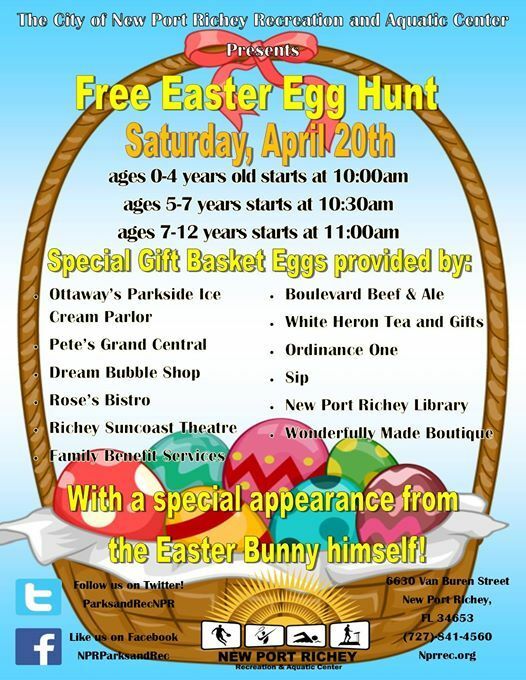 Special Easter baskets provided by out downtown Merchants! 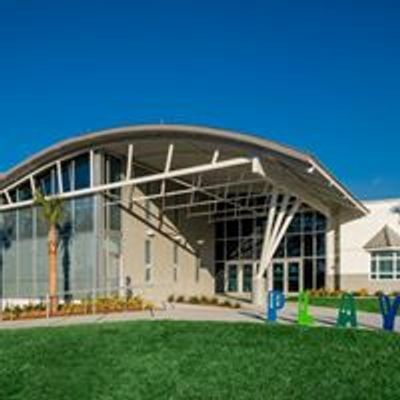 The New Port Richey Recreation & Aquatic Center is a $14M state-of-the-art facility, located in West Pasco, Florida, that offers a variety of affordable, recreational activities for every one of all ages. Residents of Tampa Bay & visitors welcome! Easter Egg Hunt and Swim! 352 Fest Flea Market at Durty Nelly's 4/21 - FREE!